Sorry about the lack of posts over the last month and a half, but I have just recently completed three years of research for my newest seminar. Last month I literally traveled coast to coast researching University Archive Collections in San Diego and Central Florida pulling together my latest presentation. 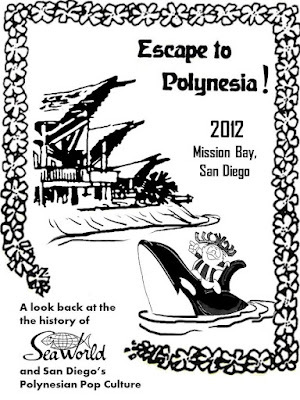 There have been several previous seminars about the history of Polynesian Pop in San Diego, but this one will be all new material, never before seen plans, blueprints, stories and interviews. And for theme park fans, I will also be showcasing the history and development of Seaworld and the heavy Polynesian influence that park exhibited in its early years. I'm still working on a schedule and venue for this event, so stay tuned. I expect to present it later this year in the late fall or winter 2012. Love your blog! I don't get to look at it as often as I should, thus taking up three or four hours of my "valuable" time when I do. 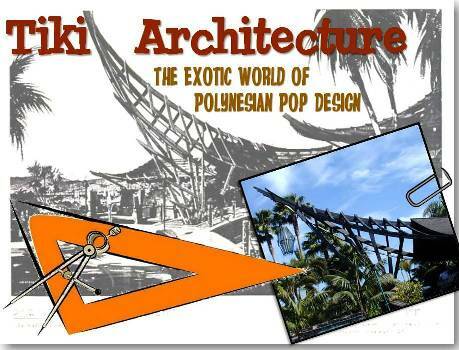 One of these days, I'm going to build myself a tiki modern home, and your blog will be my starting point. Thanks so much for this incredible resource! Your research is a goldmine! Polynesian culture infact the entire Oceania is very exotic, with its strong sea influence, lovely people and completely different languages.I wanted to know, is Polynesian culture closely interlinked with Melanesian? similarity in languages?